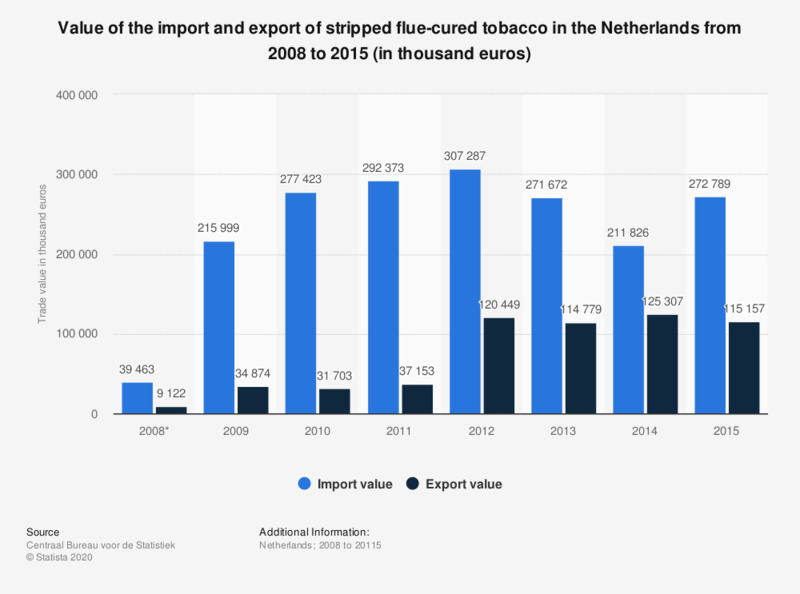 This statistic displays the value of the import and export of stripped flue-cured tobacco to and from the Netherlands from 2008 to 2015 (in thousand euros). It shows that in 2015, with a value of approximately 273 million euros, the import value was higher than the export value. This category includes wholly and partly stripped tobacco. br>* The figures for 2008 exclude Virginia tobacco.